As one of the very first adopters of an industry-wide security scheme, a whole variety of engine, chassis and bodywork parts will be invisibly marked on each new Kawasaki road motorcycle in a coordinated effort to dramatically reduce vehicle theft. Developed by the motorcycle security experts Datatag, the Master Security markings and transponders are invisible to the naked eye and supported with a subtle sticker on each marked machine designed to deter the would-be thief. 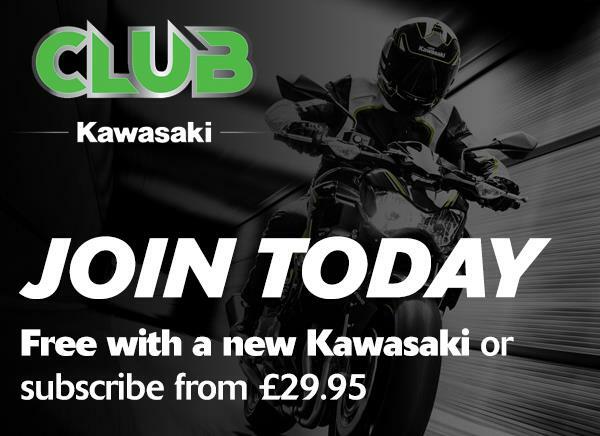 Be a part of a true biking community with twelve months free membership of the Kawasaki Riders Club. KRC provides two free high quality GO magazines per year, a dedicated members website, forum and a host of member benefits such as "The big annual event” where KRC members can enjoy a unique Kawasaki environment and get to meet their racing heroes plus other key Kawasaki personnel, exclusive discounts on products and Kawasaki / Virgin Experience days and VIP evenings. Every customer is presented with a Neoprene Kawasaki Branded Document Wallet, so all your paper work and booklets can be stored in one safe place. Alternatively, the wallet also doubles as a very handy IPad case! The USB key fob device – which is believed to be unique in the motorcycle industry - has been designed to carry such essential information as the motorcycle service history, dealer and customer added notes and such useful facts as recall information. 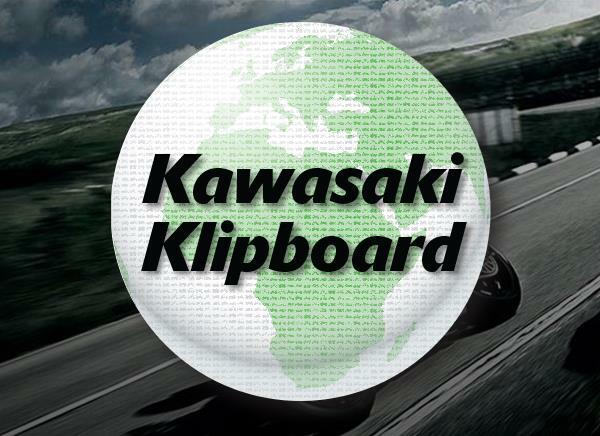 Activated via the internet as part of the process to initial Free membership of the Kawasaki Riders Club, the History Key is not intended to replace the hard copy service book but, to create an easy to access and updateable point of reference.